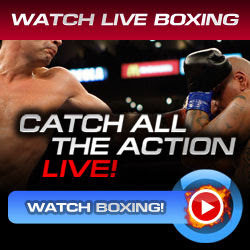 Bernard Hopkins beat the former World Boxing Council light heavyweight champion Jean Pascal in their 2nd clash rematch fight via unanimous decision victory live from Belle Centre, Montreal in Canada, Saturday. Jean Pascal didn't successfully defended his World Boxing Council light heavyweight title crown against the forty-six year old veteran champion Bernard Hopkins in their rematch fight. Bernard Hopkins is the oldest guy to win a title belt in the boxing world history at the age of forty-six years old against a rematch to Jean Pascal. Bernard Hopkins' victory vs Jean Pascal breaks the history of the legendary fighter George Foreman who won the WBA and IBF heavyweight title belt against Michael Moorer at the age of forty-five back in November 5, 1994. Jean Pascal losing the bout against Bernard Hopkins with the scores of 116-112, 115-113 and 115-114 all results favor with Hopkins. Hopkins' fight vs Pascal 2 rematch was looking good and he's in great condition. Bernard hit Jean Pascal with hard punches in the 9th and 10th round that sent the former WBC light heavyweight champion down. Jean Pascal hurt several times in the fight as Bernard Hopkins throwing punches and control the game plan energy vs to Pascal. Bell Centre was filled of 17,560 boxing crowd as they witnesses the fight of Bernard Hopkins vs Jean Pascal 2 rematch fight. They saw another great history in boxing, and that is Hopkins' legendary career in the age of forty-six years old to become a world champion again. Bernard Hopkins vs Jean Pascal 2 rematch fight result proved to the boxing fans and every boxer that age doesn't matter to be a world champion.